Earn up to 25 BIOPoints. The Anti-Age Liquid Makeup, SPF 20, is a conditioning foundation with excellent coverage and staying power. It vitalizes the skin stem cells, diminishes fine lines and wrinkles, improves collagen synthesis and strengthens the extracellular matrix. It ensures intensive coverage for hours, compensates for irregularities of skin and makes skin features look softer. It promotes skin’s elasticity, improves collagen synthesis and optically diminishes lines and wrinkles. It protects skin against moisture loss and UVA and UVB radiation and achieves a perfect, long-lasting matting effect, with a transparent powder. BIOACTIVE ANTI-AGE COMPLEX with Phyto Stem Cell Extract and Biopeptides vitalizes the skin stem cells, diminishes fine lines and wrinkles, improves collagen synthesis and strengthens the extracellular matrix. Ensures intensive coverage for hours. Compensates for irregularities of skin. Makes skin features look softer. Optically diminishes lines and wrinkles. 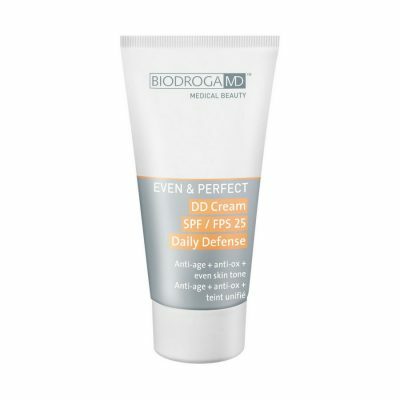 Protects skin against moisture loss, UVA and UVB radiation. Achieves a perfect, long-lasting matting effect, with a transparent powder. This sunscreen is a chemical sunscreen – that means it must go directly on the skin, in order for the sunscreen to work correctly. Apply throughout the day. Phyto Stem Cell Extract, Biopeptides.